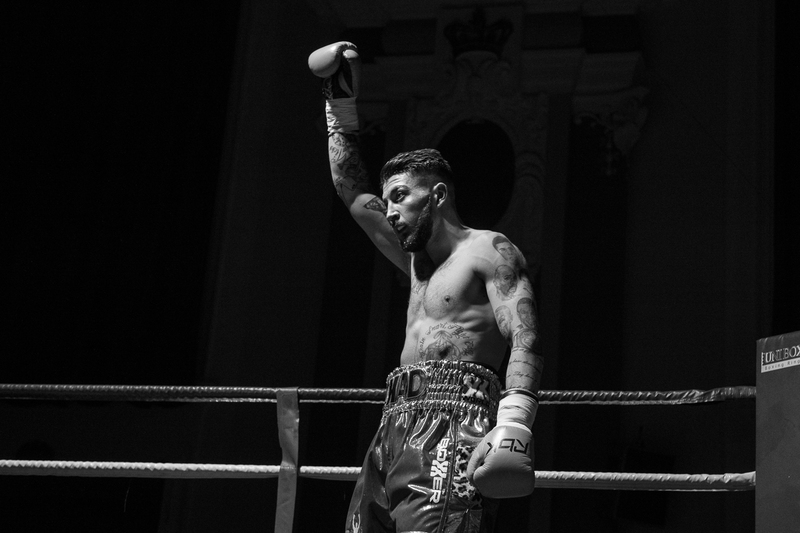 It’s seconds out, round two for Chad ‘2 Slick’ Sugden next month when he returns to the town where he made his explosive pro boxing debut in March. Saturday 14 May will see Chad, the UK’s most successful kickboxer ever, looking to secure another victory in the boxing ring, on the card of MAY-HEM at Walsall Town Football Club. The Super Middleweight from Suggy’s Gym will be up against Lithuanian Light Heavyweight Vaidas Balciauskas in a six three-minute round contest. The event is co-promoted by Ricky Hatton, who held the WBA (Super), IBF, IBO, British, The Ring magazine and lineal light-welterweight titles as well as the WBA welterweight title during his 12-year boxing career. Several fighters from Hatton’s own stable will also be fighting on the MAY-HEM card. “Chad excited the entire boxing fraternity with his incredible movement and variety of punches on his debut and he’s going back to Walsall to do more of the same,” said his manager and coach, Dean Sugden. Over 160 fans and friends made the journey to the West Midlands to cheer on the Nottingham fighter on Saturday 19 March. Now Chad, who celebrates his 22nd birthday on 27 April, is looking forward to showcasing his skills in front of even more local supporters in Walsall Town’s Stadium Suite. “Having so many followers in the crowd is an incredible feeling and a real boost, which just makes me even more determined to do my home town proud on the night,” he said. “As a thank you, I’ll be giving away one of my walk-out t-shirts to one of the travelling supporters, with the draw taking place in the week before the fight. On sale now, via the hotline 07816 840920 or from Suggy’s Gym, tickets are £60 ringside with two-course meal or £30 standard unreserved. Return transport for local fans is also available at £15 per person. Previous Previous post: A different kind of knockout!